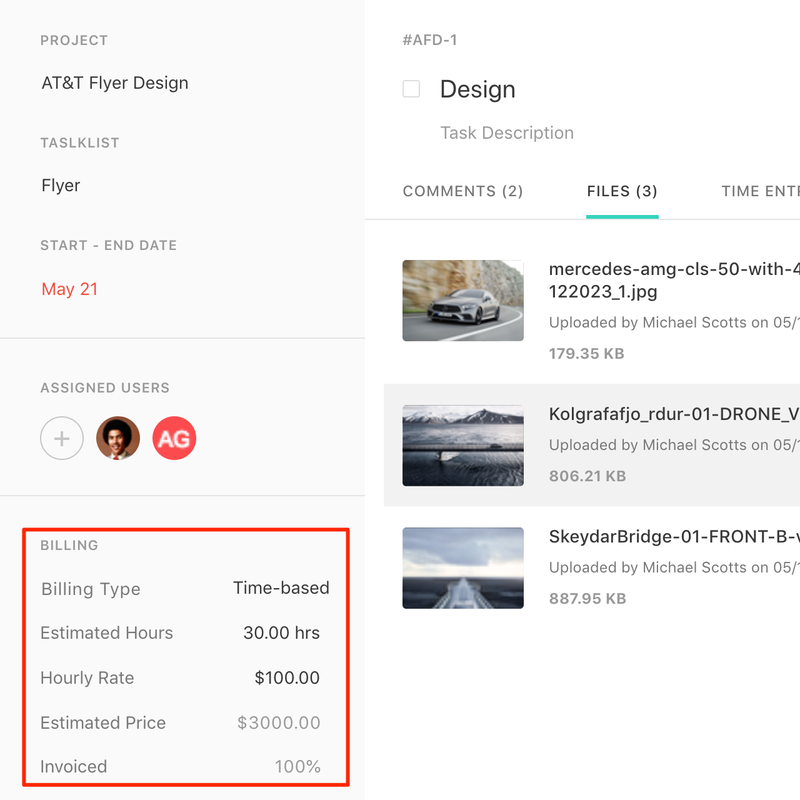 Learn how to set different billing rates for your tasks & projects, and how the hourly rates apply. In Paymo there are four billing rates: company, user, project and task rate. 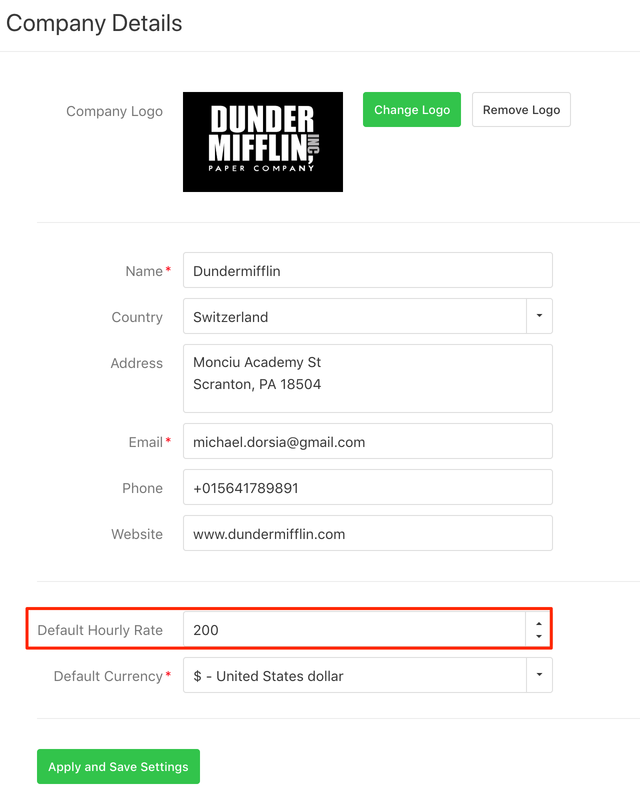 The company rate - can be set from your Company settings area → Company details. 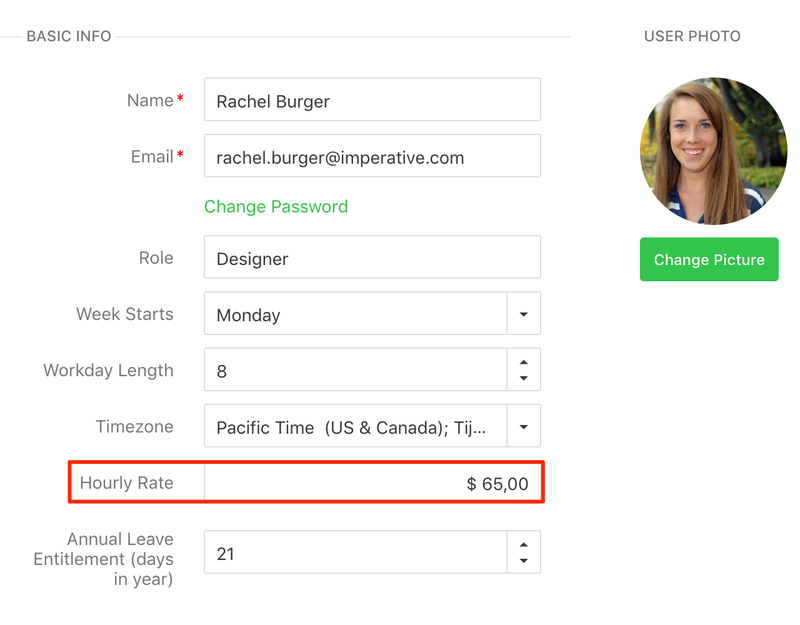 This is the default that will be used if you don't set one of the other hourly rates. The user rate - is set in the Users area when you edit the user settings. This rate is applied when you set the project's billing priority to use a user's rate. The Project rate - is set in the project settings area when you select the billing priority to be based on the project's hourly rate. The task rate - can be set in the full task details view or if you want to edit multiple tasks rates easily, you can use the Table view. These rates can be combined in different ways and be used on the same project. If you set the project billing priority to project hourly rate and fix it at $50/hour, then switch the billing priority to task rate, it will still remember the initial project rate in case you don't set a task rate. If you've set for some of the tasks the rate of $100, the tasks with the set rate will use that rate, while the ones without a specified rate will use the initial project rate ($50). If you select a project rate, then change the billing priority to user rate and don't assign the task to a specific user, the rate used will be the project rate. If there isn't a project rate, the company rate will be the one used. Once the task is assigned to a user, the user rate will be used.